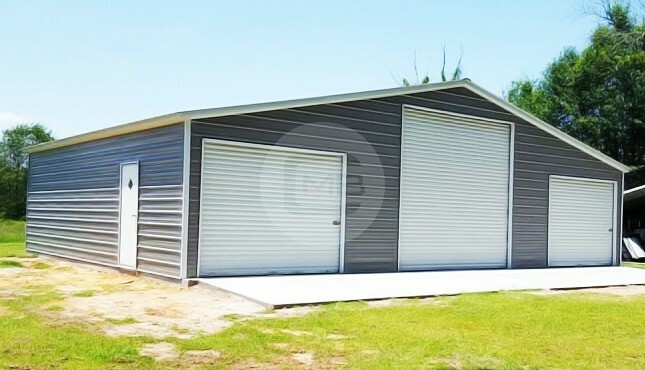 Storage Barn with more than 1300sq feet area, divided by walls to be utilized for different storing purposes. 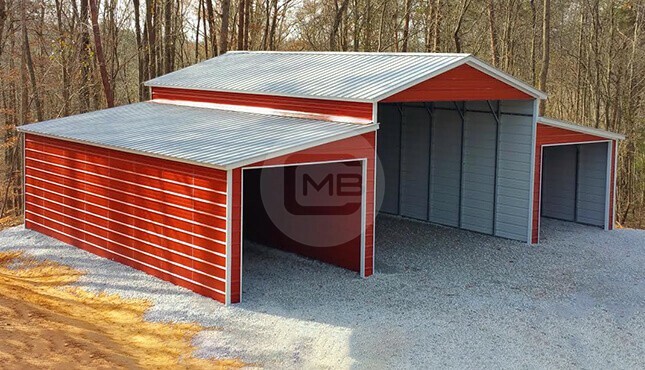 This 42×31’ prefabricated storage barn is certified for heavy snow and high wind load (140mph/30psf) and has vertical roof style to let the debris, snow and other elements not harm rust or harm the sheet. 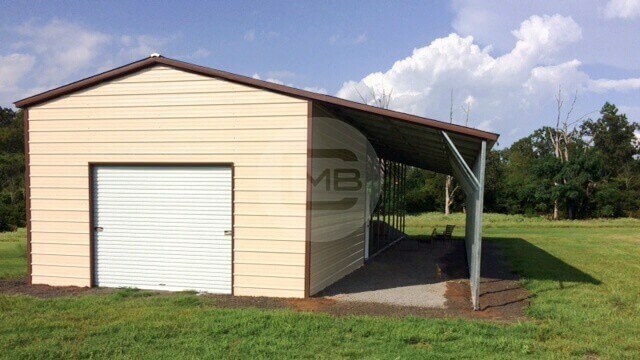 The center section of this 42x31x12’ storage barn is 18’ wide and 12’ tall with open front and closed back wall. While the lean-to is 12’ wide and 8’ tall, each with an 8×10’ frame-out on front wall. Available just at a small down payment of $1997 in 13 different colors. Call us at 980-321-9898 to get this exact building or let’s design one for your needs. One-year workmanship warranty, 10-year panel warranty (chipping and cracking only), and 20 year rust through warranty on both the 12 gauge and 14-gauge frames.